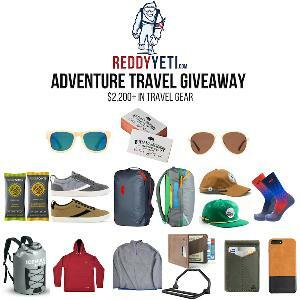 Prize: Cotopaxi ALLPA 28L TRAVEL PACK; pair of Saola Shoes; Malo'o DryRack; pair of compression socks and 3 pair of casual socks from Point 6; Tech Hoodie and a Method Pullover from Minim Gear; Wallet and phone case from Andar Wallets; 2 hats + more. Statistics: This contest was opened by 138 and entered by 22 ContestChest.com members. 16% of those who opened the contest, entered it.